These databases have been purchased for you to use. The funding sources vary from your local school funds to the New York State Library. NOVEL is a statewide virtual library provided free to the public by the New York State Library, funded through an LSTA grant to the NY State Library by the Federal Institute of Museum and Library Services. 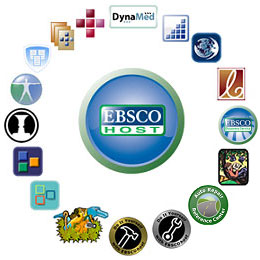 All databases are accessible from school or from home. Usernames and Passwords are available for the use of South Seneca staff and students only. They can be obtained from the librarian - please email bmccheyne@southseneca.org if your student forgot to bring home the handout. Please do not share password information with others from outside our district, as that could result in higher prices for all. Scholastic BookFlix is an online literacy resource that pairs classic video storybooks from Weston Woods with related nonfiction eBooks to reinforce reading skills and introduce children to a world of knowledge and exploration. Brain Pop / Brain Pop Jr.
Includes Art Museum, Onmifile, Teacher Reference Center; Consumer Health Complete; Explora; Literary Reference Center. With a parent's or teacher's assistance, kids will find a lot of fun educational activities, printables, and more on this site that has 30,000 pages with more added each day. Parents need to know that Enchanted Learning is an old-timer on the Internet scene and may not have a lot of the bells and whistles that kids expect, but it does have excellent educational activities, printables, games, and links to even more recommended content. providing individualized instruction for the rest of the class. NOVEL Databases are provided to us for free from the New York State Library. There are 53 separate databases for our use. Take a look! Reading A-Z is a constantly changing program. Each month, Reading A-Z adds new books, lesson plans, and other resources, thus continually expanding its wealth of materials. Media Library Catalog - Use to access: Streamable videos and other content from Annenberg Learner; CCC! Video on Demand; Discovery Education; Project Gutenberg; Khan Academy; Learn 360; Library of Congress; NBC Learn; National Archives; PBS LearningMedia; Pics4Learning; and Soundzabound. Non-Fiction "True Books" series online. Our TumblePremium collection has over 1000 titles and is perfect for public libraries and elementary schools, with content most appropriate for those in grades K-6. It includes animated talking picture books, chapter books, videos, non-fiction titles, playlists, books in languages other than English such as French and Spanish, graphic novels and math stories. An online vocabulary list builder that allows you to customize vocabulary lesson plans and vocabulary worksheets using thousands of vocabulary words. Writing A-Z delivers a comprehensive collection of online writing lessons, resources, and tools to meet the needs of every student, at every learning level.